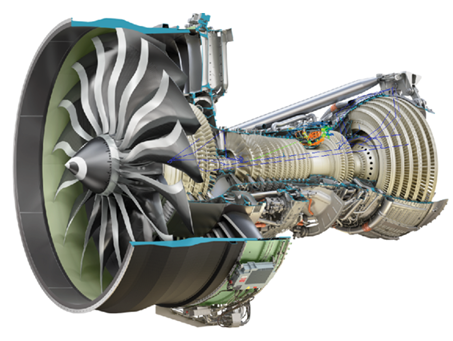 Altair ElectroFlo™ is a fully featured and efficient CFD-based thermal analysis software that combines the power of coupled thermal/electrical analysis with the ease-of-use of an object oriented GUI to provide solutions to challenging problems facing today's electronics analysts and designers. "ElectroFlo has allowed me to create thermal models, taking into consideration the actual heat dissipation from the trace heating, without having to make any estimates or simplification. This has created more accurate models and has pointed to thermal issues and bottlenecks that in the past were not discovered until the testing phase." 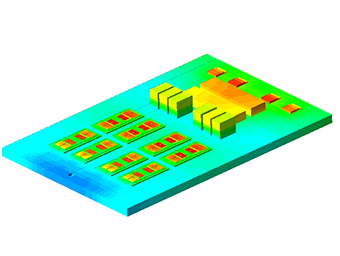 ElectroFlo sets itself apart from other thermal analysis software as it allows users to perform thermal analysis of electronics projects with ease. The software is fully featured, yet easy enough for non-CFD users to operate. 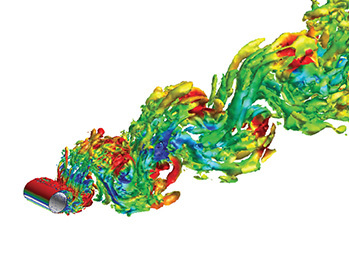 ElectroFlo has a fast and stable solver that makes it possible to perform thermal/CFD/electrical analysis of extremely complex models within hours. It also relieves the analyst of the very tedious and time consuming task of model clean-up and complication. This significantly reduces the modeling time of components as well as allowing for customized “turn-key” solutions for problems. Voltage, Temperature and Flow analyses are all coupled together to give users an accurate account of self-heating effects which results from the flow of electrical current in conductors within the model. It avoids the difficult task of estimating trace heating for complex circuits, a practice that can easily lead to “overdesign”. ElectroFlo’s automatic application and calculation of radiative viewfactors allow for full user control over the complexity of radiation networks. 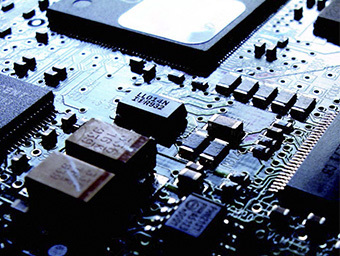 ElectroFlo allows users to test their electronics with nonlinear loads and boundary conditions. Time, temperature and/or spatial dependence can all be manipulated within the software allowing simulation that can’t be duplicated in a test lab. ElectroFlo employs an integrated flow network that combines flow-network modeling approaches within an overall system model. This is ideal for modeling liquid cooling through, mini- and micro channels, phase-change loops, complex heat-exchanger and coldplates. It designs cooling circuits by extending outside the domain of the model as it calculates pressure losses throughout the system and obtains the pumping requirements. 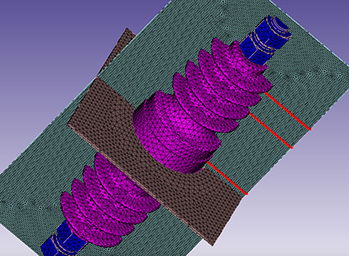 Additionally, Multi-System analysis allows subdividing thermal systems into subsystems and conducting a coupled and synchronized numerical simulation. Benefits include the ability to combine existing models of components, boards and electronics boxes and reusability of existing assemblies.